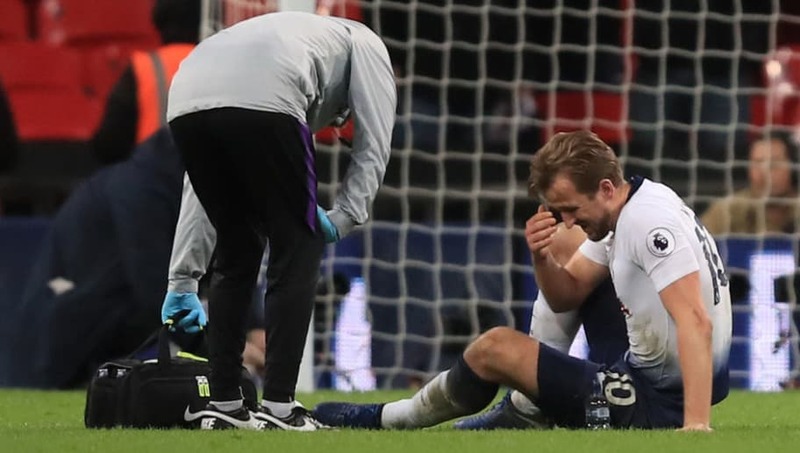 ​Tottenham striker Harry Kane looks set to be out of action for a month following the ankle injury he sustained late on in Sunday's 1-0 home defeat to Manchester United. The news will come as a serious blow to Mauricio Pochettino, with the England forward's injury leaving Tottenham with only one recognised striker in wantaway Spaniard Fernando Llorente. Pochettino's unwillingness to call upon forgotten man Vincent Janssen, and the unfortunate timing of Son Heung-min's departure to the Asian Cup, leaves Spurs thin on the ground in terms of attacking options, with crucial fixtures on the horizon. The exact extent of ​Kane's injury is still unclear, as the swelling around the ankle has yet to subside, meaning a scan will have to wait. Early indicators suggest that the injury will leave him sidelined for a month, meaning he will miss the Carabao Cup semi final second leg against ​Chelsea next Thursday, along with four ​Premier League matches and an FA Cup fourth round tie at Crystal Palace. The 25-year-old also faces a race against time to be fit for Spurs' crucial Champions League first-leg game against ​Borussia Dortmund at Wembley on February 15. Kane's injury and Son's absence at such a critical time in the season will truly be a test for Spurs, and Jan Vertonghen, who spoke to ​The Guardian, believes that now is the time for the rest of the squad to step up. “These two guys are just massive for us,” said the Belgian. The centre back's statements were echoed by team captain Hugo Lloris, who feels the squad has the depth necessary to deal without their leading scorer this campaign. “We all know how important Harry is in our team but he is not all of our team,” said the ​Spurs captain.